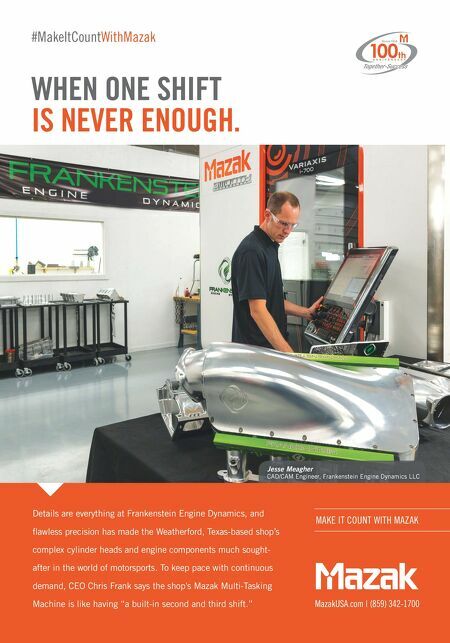 #MakeItCount WithMazak MazakUSA.com | (859) 342-1700 MAKE IT COUNT WITH MAZAK WHEN ONE SHIFT IS NEVER ENOUGH. Jesse Meagher CAD/CAM Engineer, Frankenstein Engine Dynamics LLC Details are everything at Frankenstein Engine Dynamics, and fl awless precision has made the Weatherford, Texas-based shop's complex cylinder heads and engine components much sought- after in the world of motorsports. 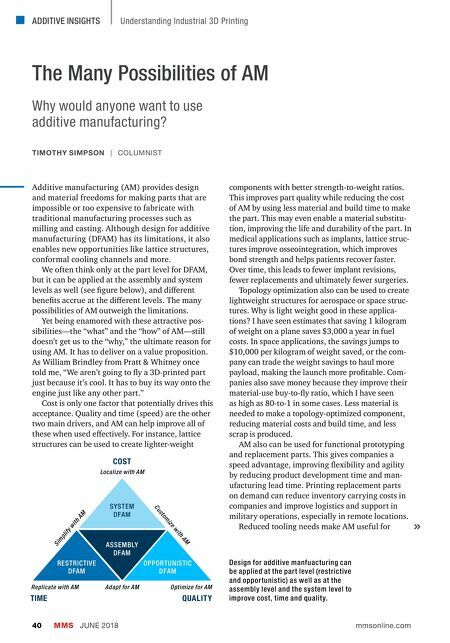 To keep pace with continuous demand, CEO Chris Frank says the shop's Mazak Multi-Tasking Machine is like having "a built-in second and third shift."